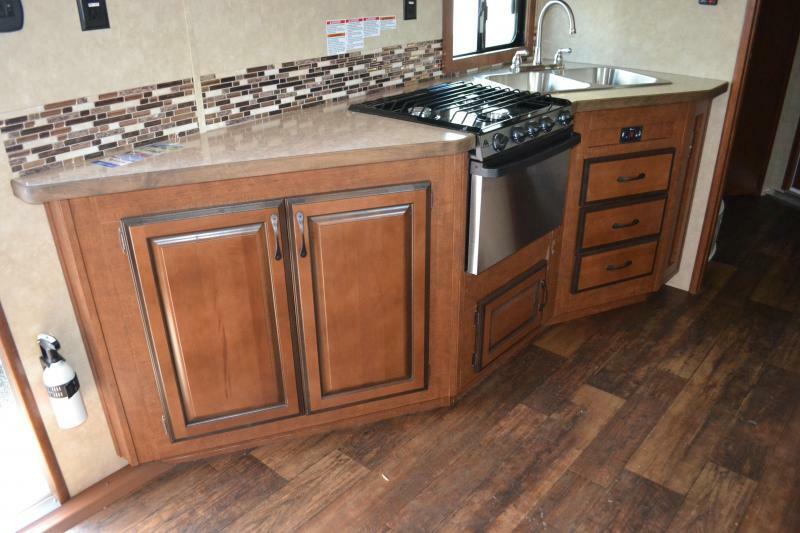 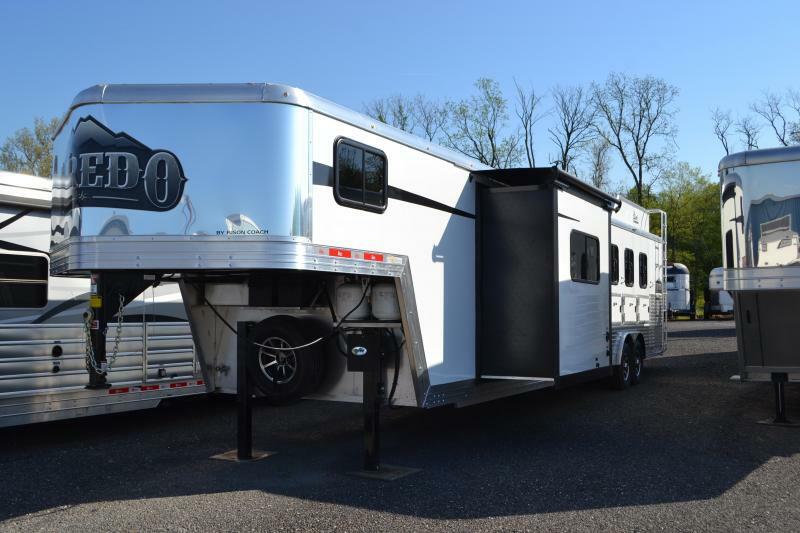 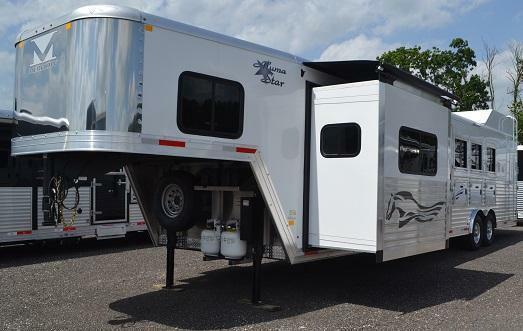 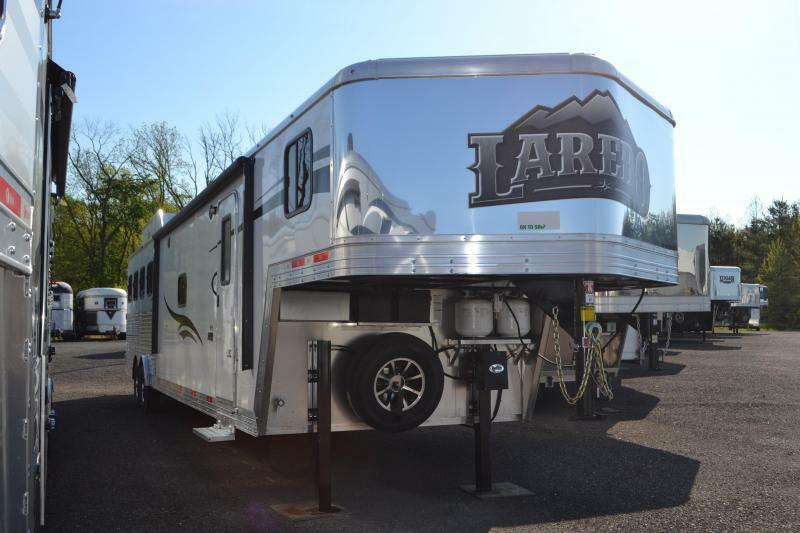 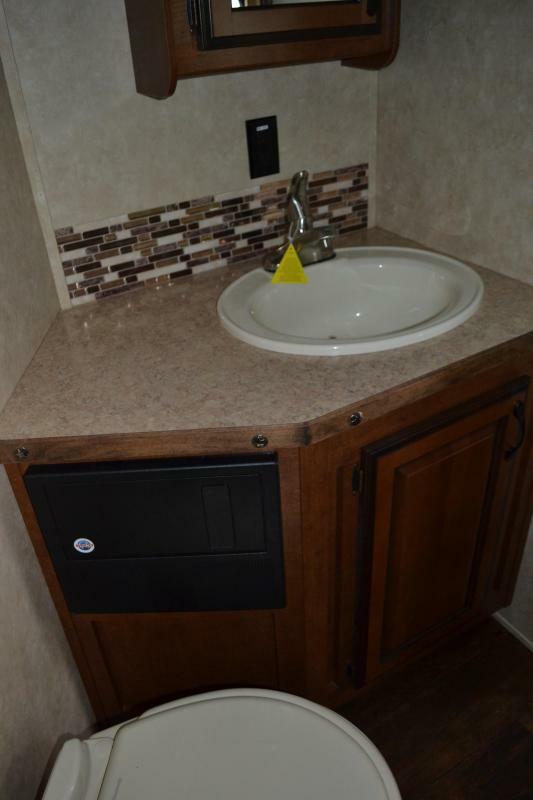 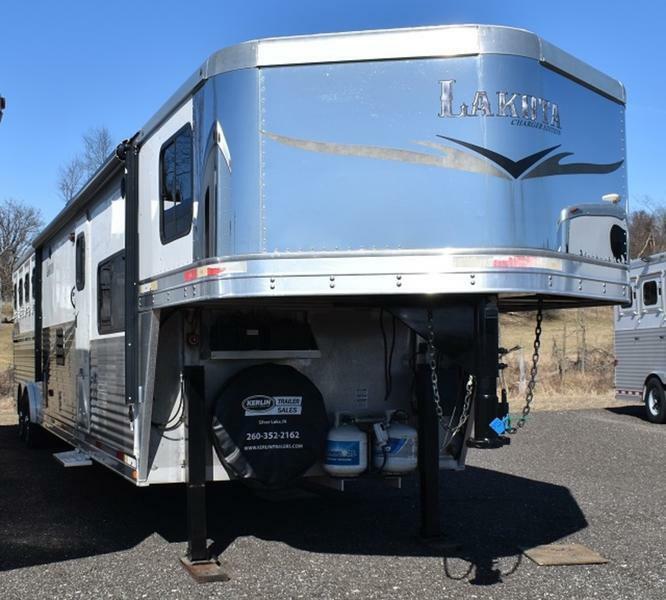 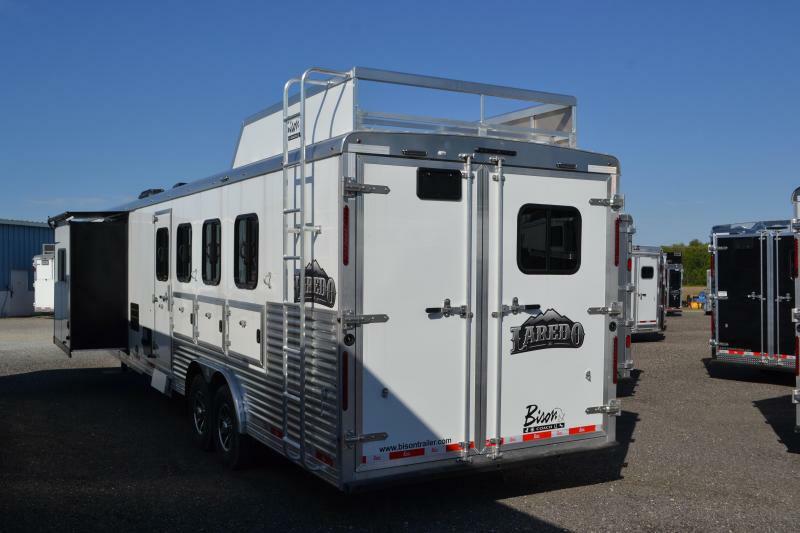 This 2018 four horse Bison Laredo offers plenty of space while on the road! 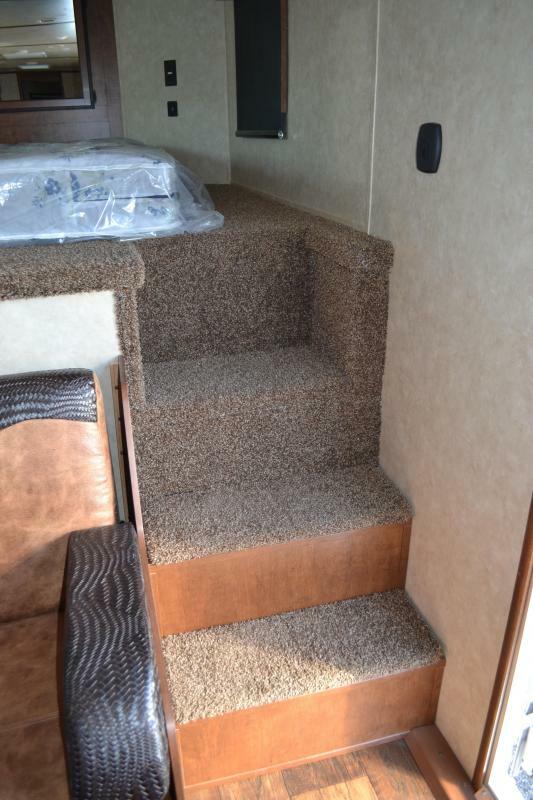 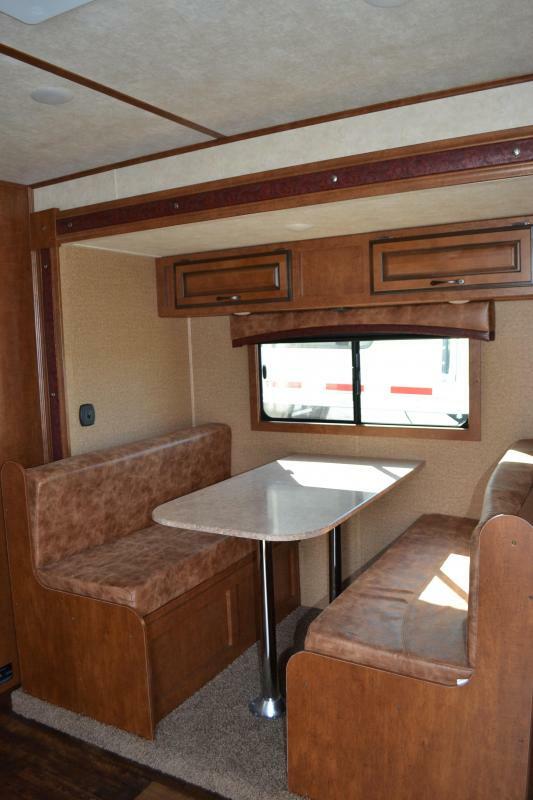 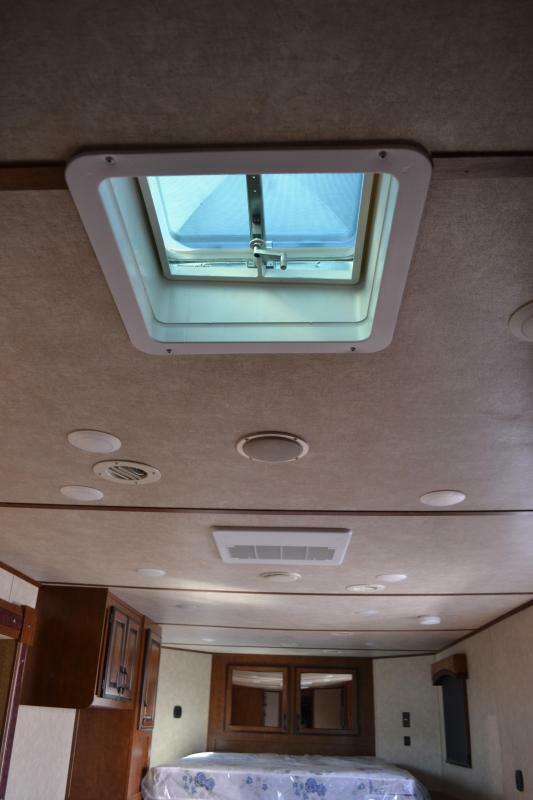 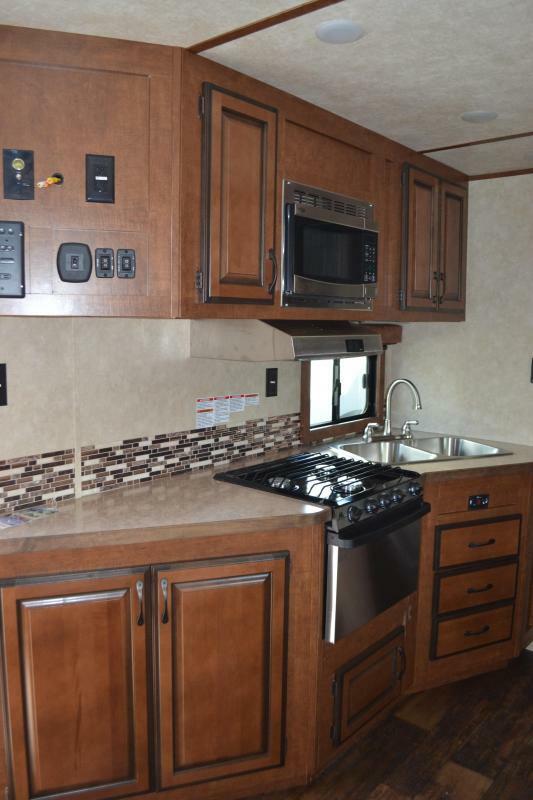 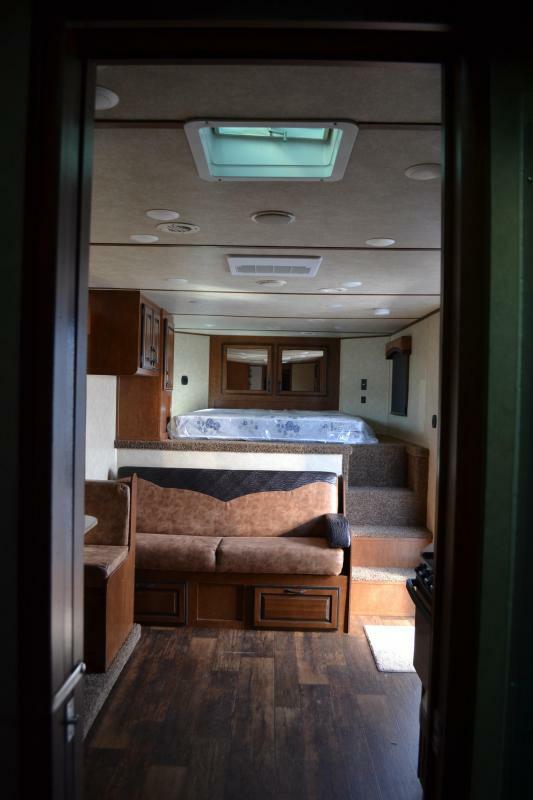 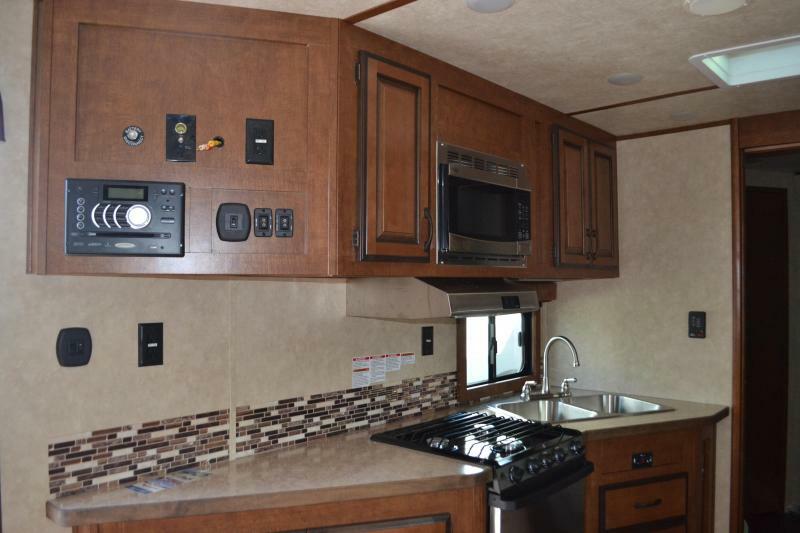 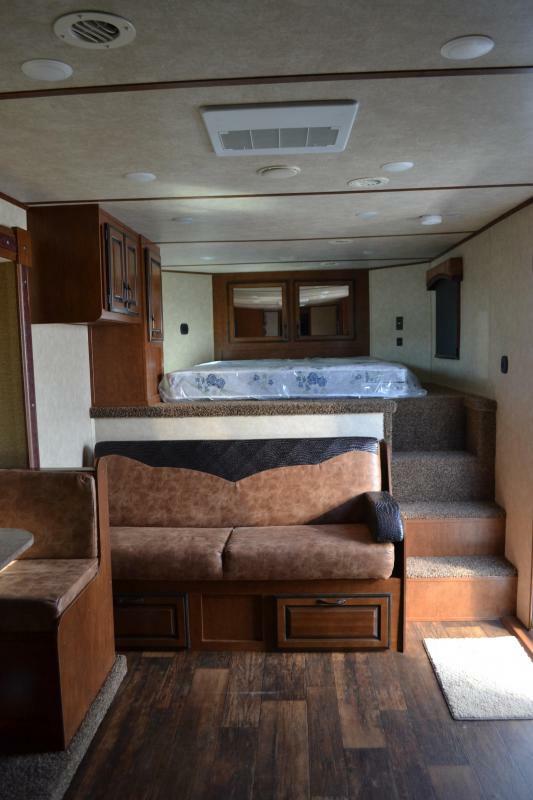 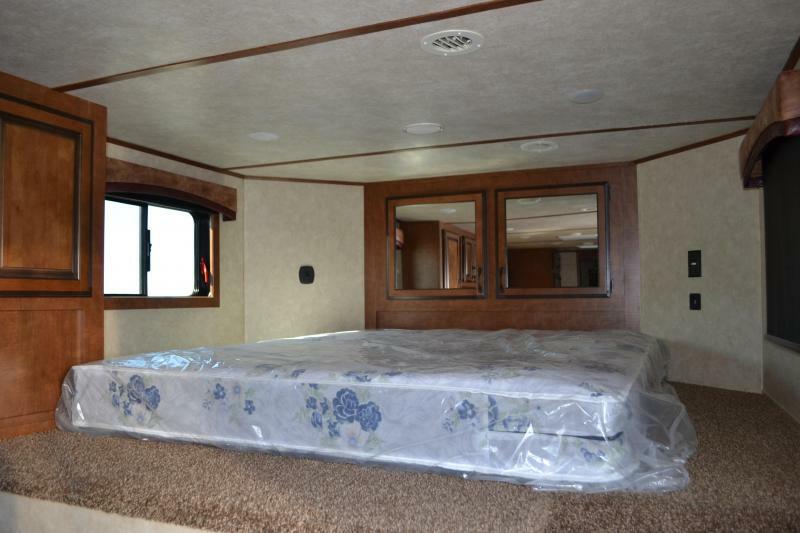 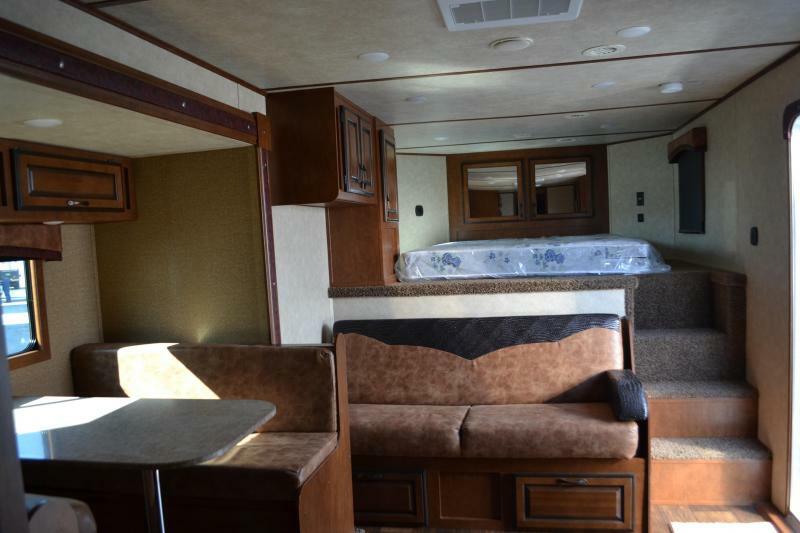 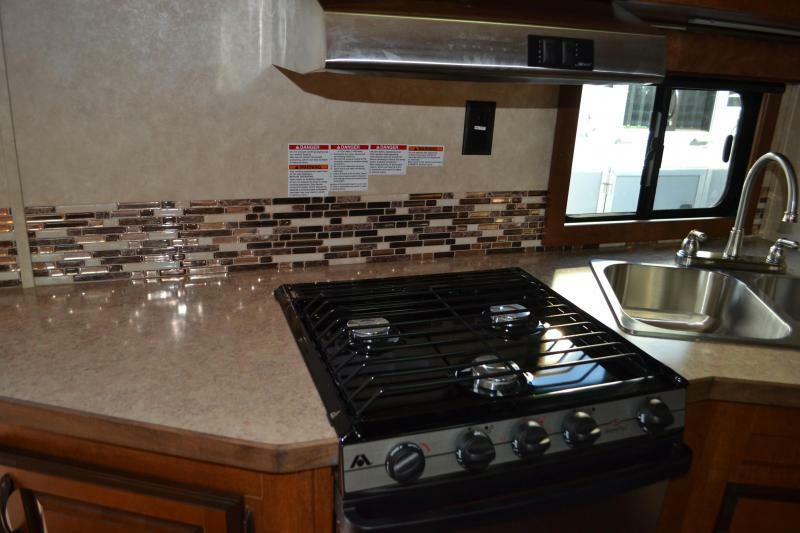 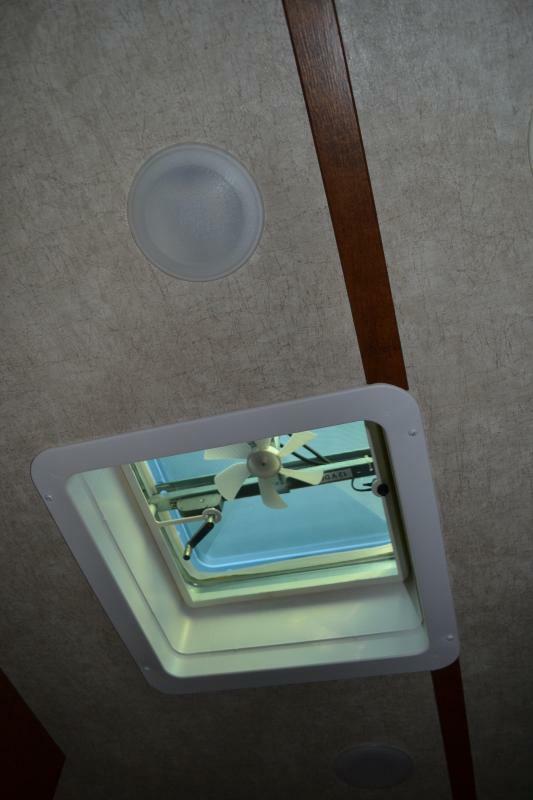 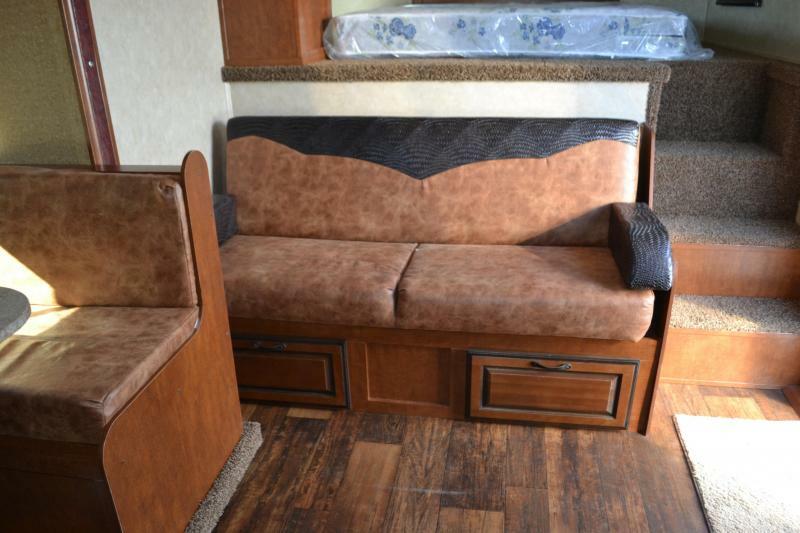 The 15' living quarters with slide out features a dinette table with leather chairs which converts to a bed, stunning wooden cabinetry for storage, 6 cubic foot refrigerator, large stove, overhead microwave, leather sofa, radio system, A/C, and furnace. 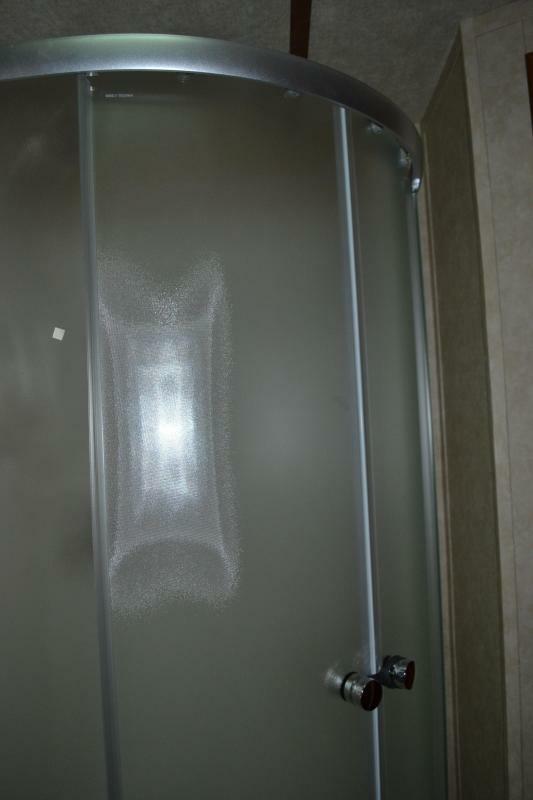 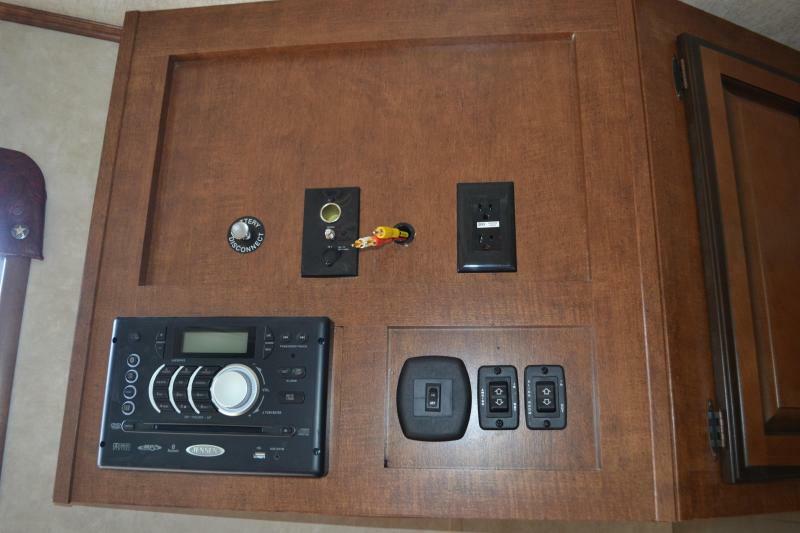 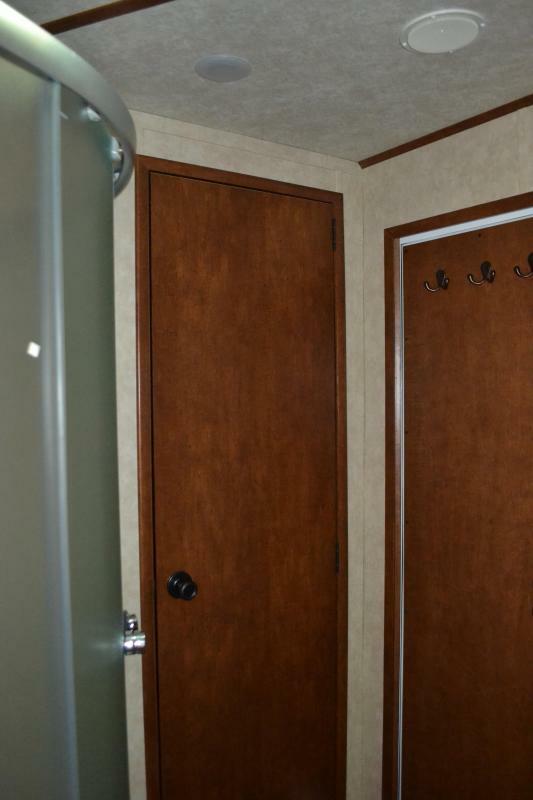 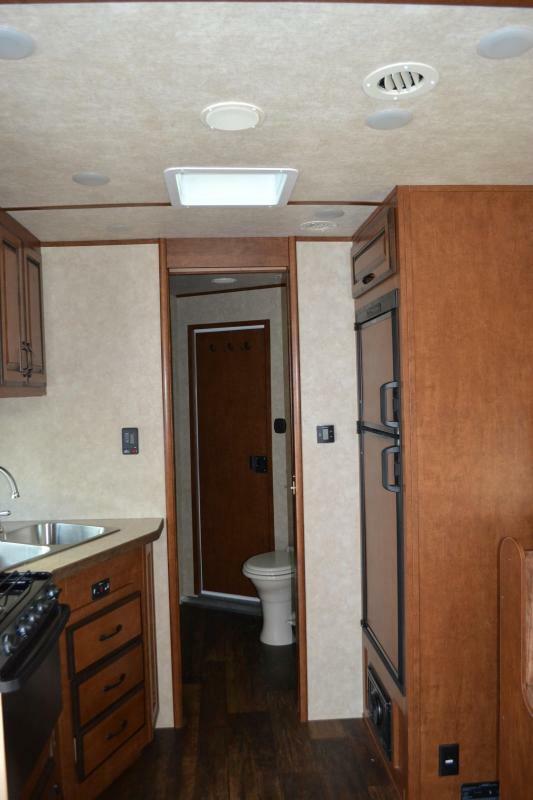 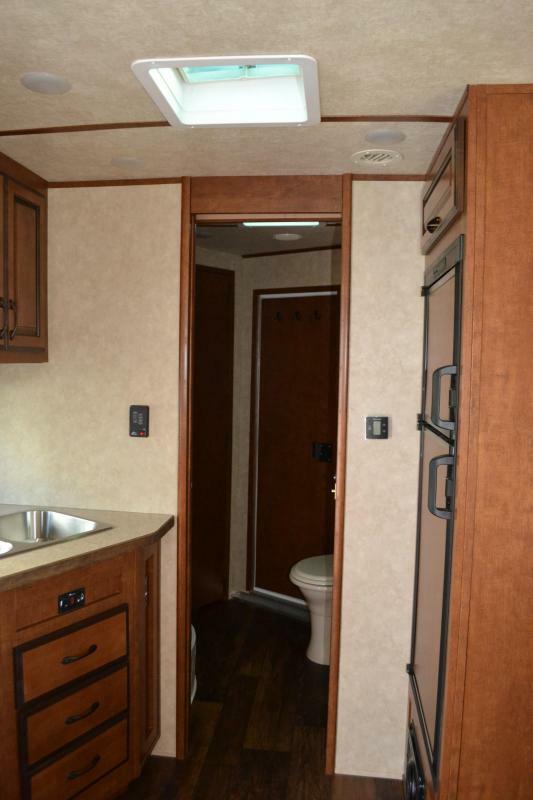 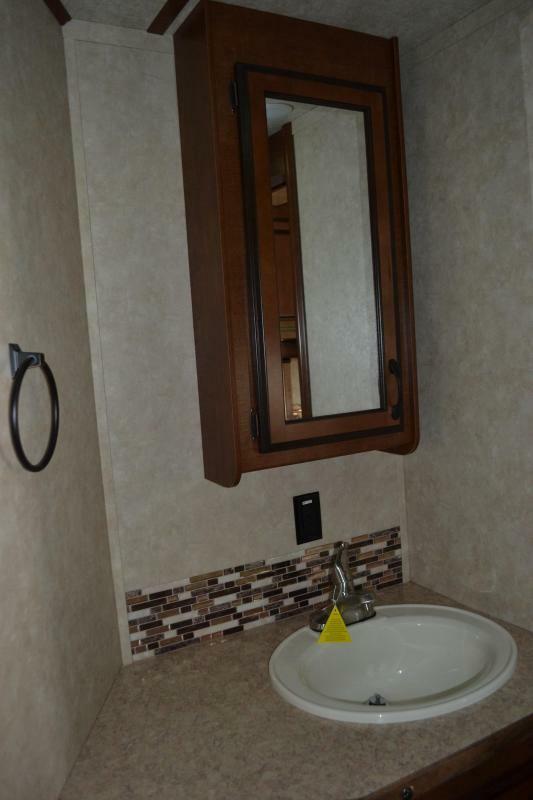 The bathroom features a large vanity, medicine cabinet, glass door shower, cabinet storage, and toilet. 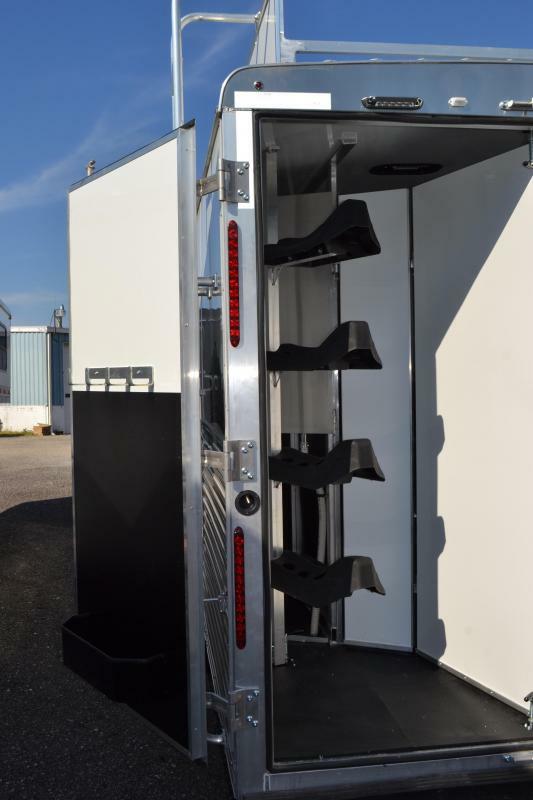 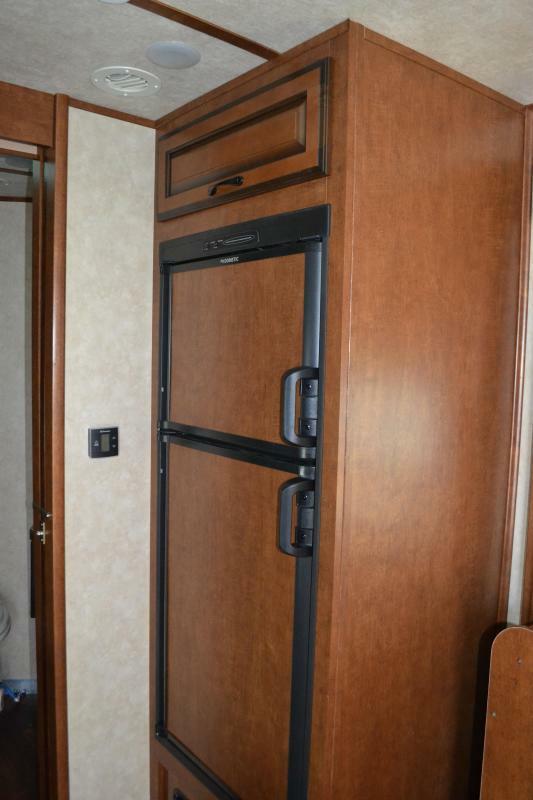 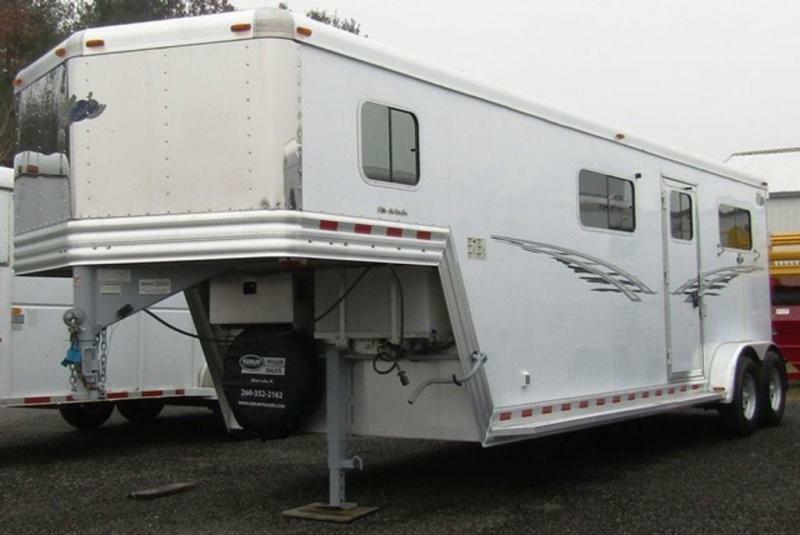 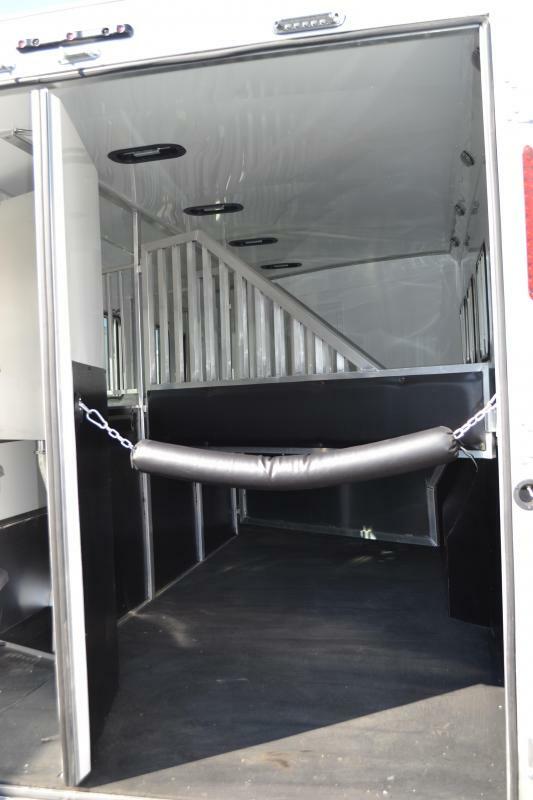 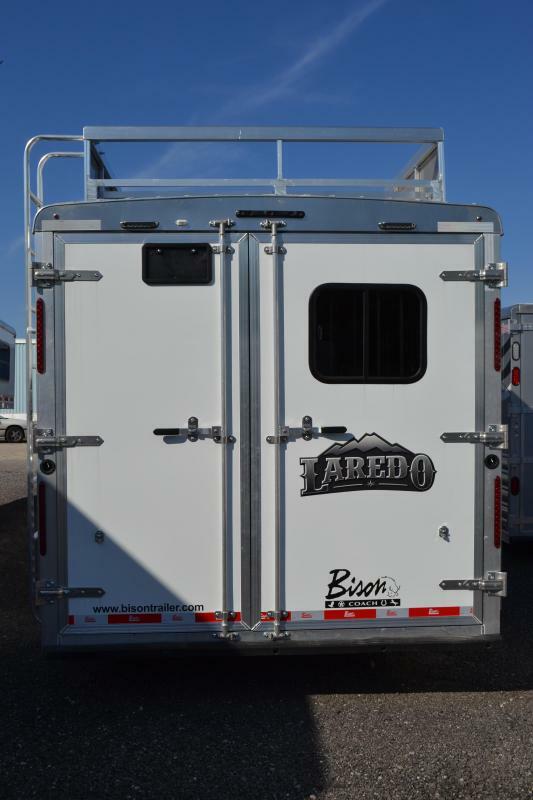 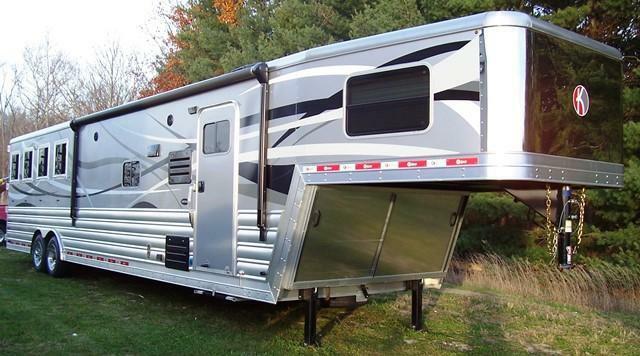 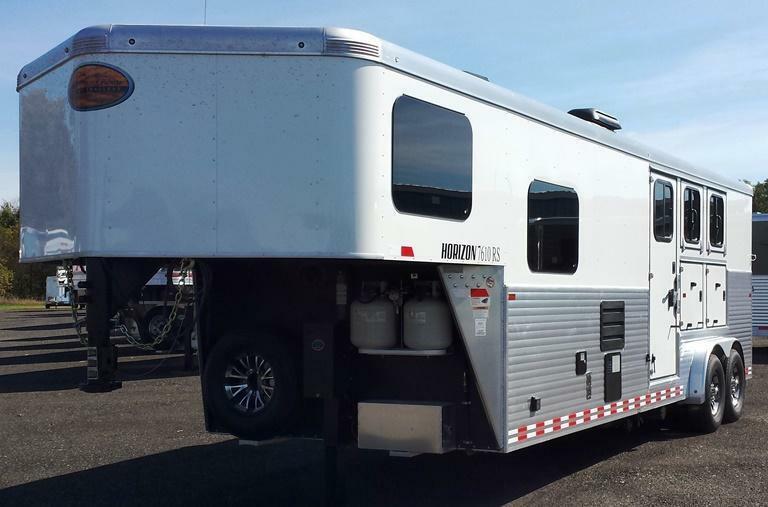 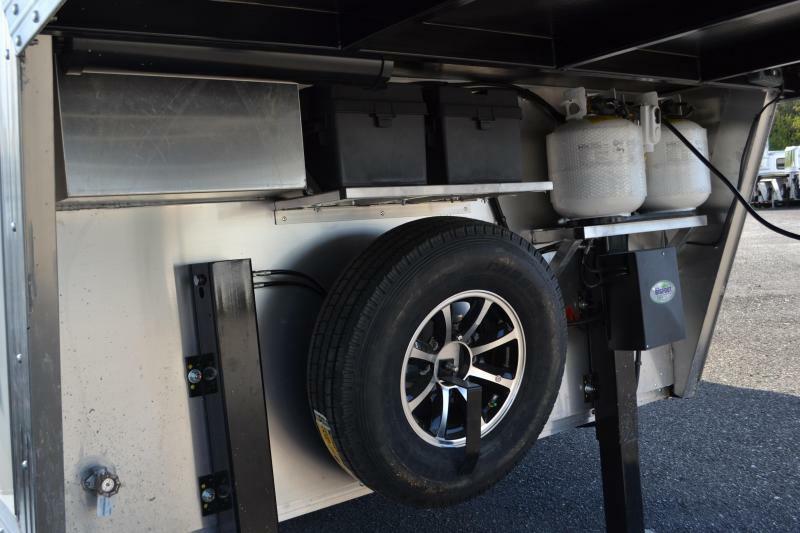 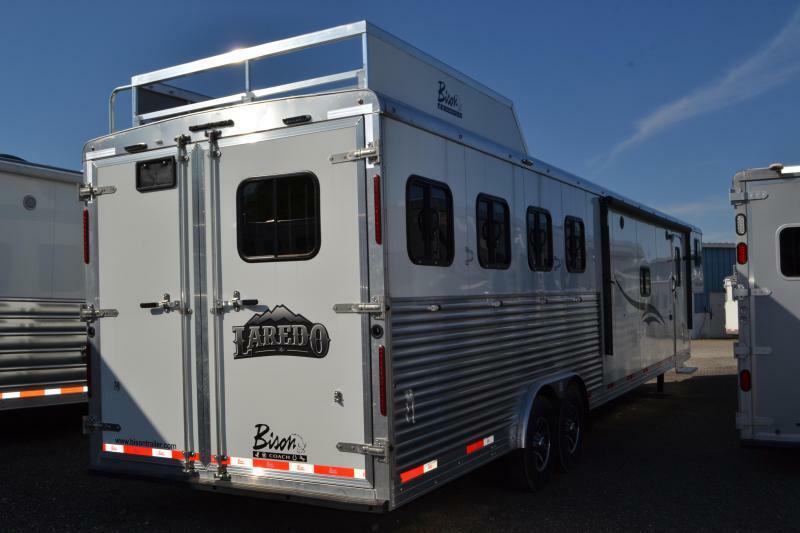 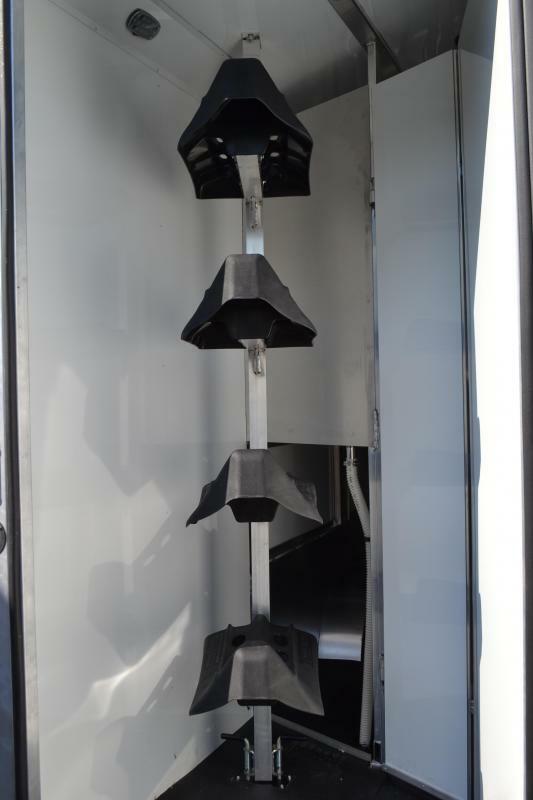 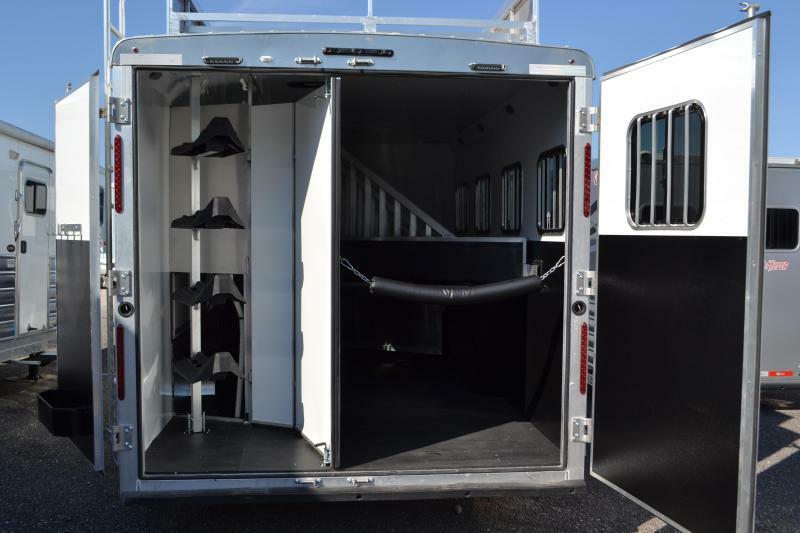 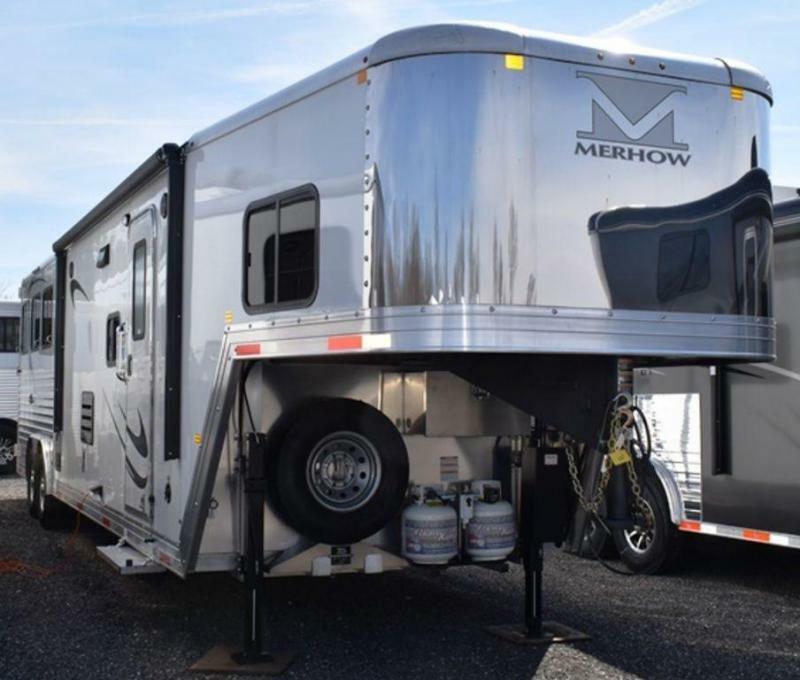 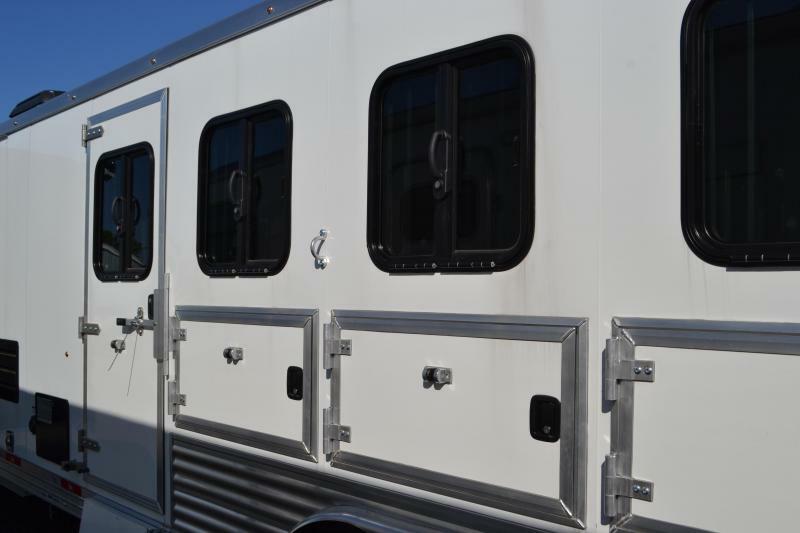 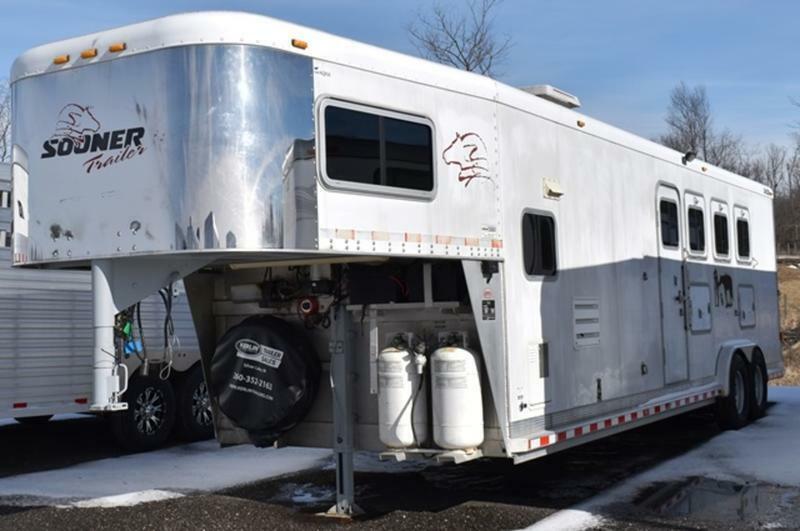 The rear of the trailer features front drop down windows, rear sliding windows, escape door through the front stall, hay pod on top, mangers, 60/40 rear doors, stud stall, and a large rear tack containing four saddle racks and several bridle hooks. 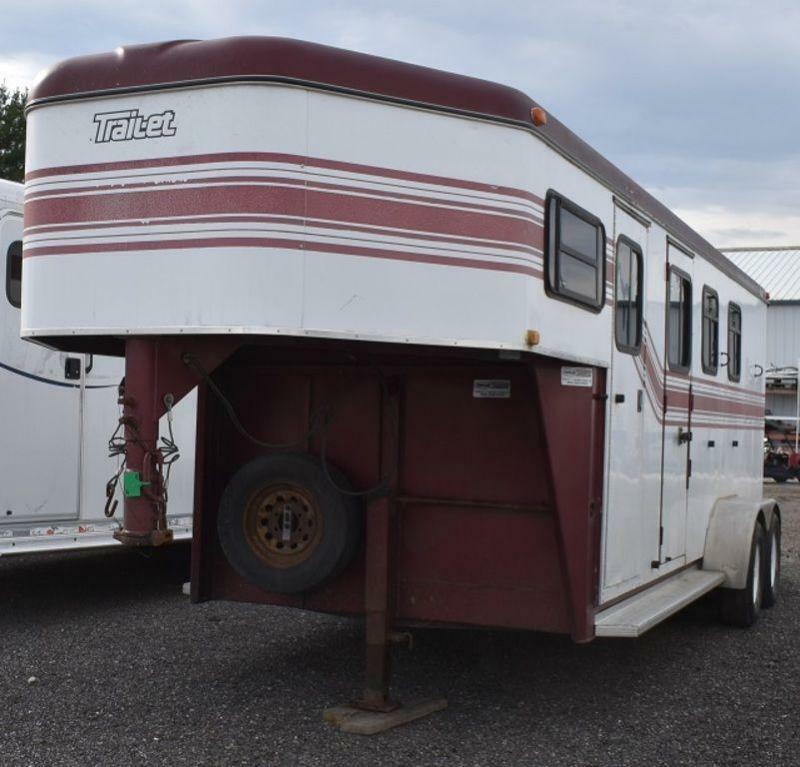 This trailer comes fully loaded!